There’s a whole lotta of confusion about walls. Not just a brick in the wall, but the whole wall. Many seem to equate the proposed U.S.-Mexico border wall or barrier (if you wish) with the toppled Berlin Wall (1961-1989). Does that mean they believed the Berlin Wall was “moral”? Having twice visited Berlin and consumed oodles of history books and novels about the Cold War and the Berlin Wall, Almost DailyBrett may be able to throw some light on this subject, not a Deutsche Demokratische Republik (DDR) floodlight. The basic premise is that not all walls are created the same. The Berlin Wall along with the western and southern borders of the German Democratic Republic was strictly intended to keep its citizens within the not-so-friendly confines of the Soviet satellite state. For movie buffs, Sir Richard Burton (Alec Leamas) was shot at the base of the Berlin Wall in John le Carre’s The Spy Who Came In From The Cold. Tom Hanks watched in terror from a subway train as brave souls were being mowed down at the wall in Bridge of Spies … they were trying to get out, not in. The Berlin Wall and the entire elaborate border fencing system between West and East Germany was the only place on earth in which two nations’ border guards faced the same direction. The Berlin Wall symbolized the Cold War division to between Freedom in the west and Communism in the east. President John F. Kennedy delivered his “Ich bin ein Berliner” speech in 1963. 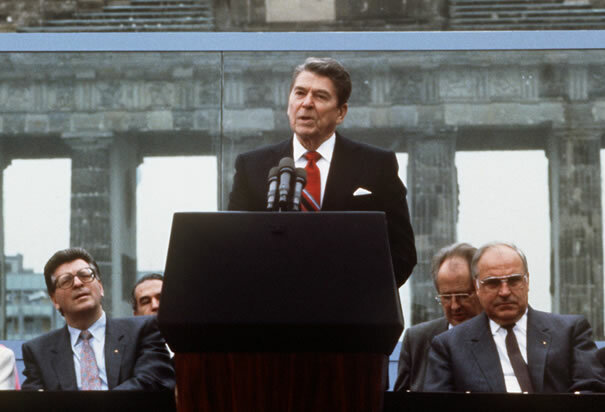 President Ronald Reagan called upon Soviet boss Mikhail Gorbachev to “tear down this wall” 24 years later. The both spoke at approximately the same spot in front of the Brandenburg Gate with die Mauer in the background. For Almost DailyBrett a piece of the DDR’s “Antifascistischer Schutzwall” sits next to the PC composing this hopefully helpful blog. Most of all, when the Berlin Wall came tumbling down in 1989. There was a global celebration as the Cold War came to an end. In contrast to the Berlin Wall, the intended purpose of most barriers throughout the course of civilization is border security. 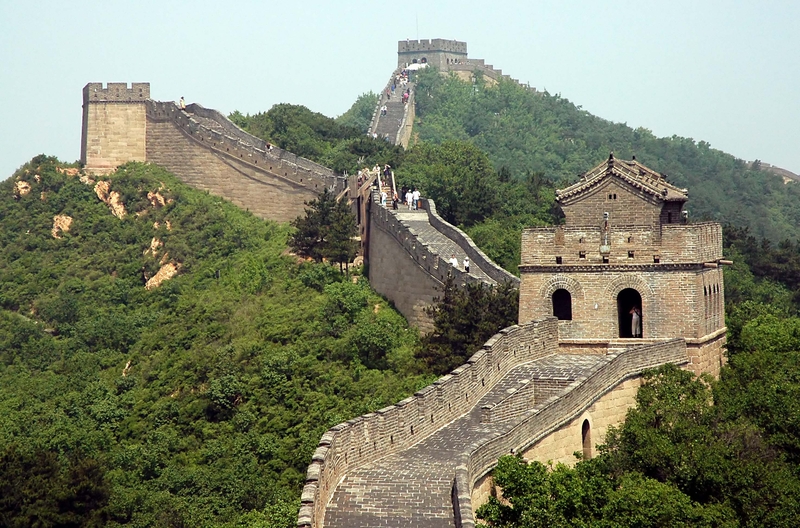 Starting in the 221 BC, China built the first pieces of the 5,000-mile (or even longer) Great Wall with “border controls” to keep out unpleasant neighbors. Ditto for Roman emperor Hadrian’s Wall, designating for 300 years the northern border of the empire, in present day Britain. Closer to the present time, Israel has been concerned about its existence since its birth in 1948. Starting in 2000, Israel built a wall/fencing along the “Green Line” separating the Jewish state and unfriendly neighbors. Could this successful wall be a model for the United States’ proposed barrier between itself and Mexico? What do the Great Wall, Hadrian’s Wall, Israel’s Wall and the planned American wall/barrier all have in common: They were/are all intended to protect citizens and provide security against illegal entry, particularly those with nefarious intents. The America-Wall is not meant to keep citizens in, but to keep non-citizens and related contraband out. To be quite frank, Almost DailyBrett is dazed and confused why so many so very intelligent people for whatever reason are making historically ill-informed comparisons between the Berlin Wall and the U.S.-Mexico border barrier. Repeat: the former was to keep people in, the latter to keep people out. Some have made the leap to suggest that since the Berlin Wall ultimately failed, therefore the U.S.-Mexico border wall will not prevail. 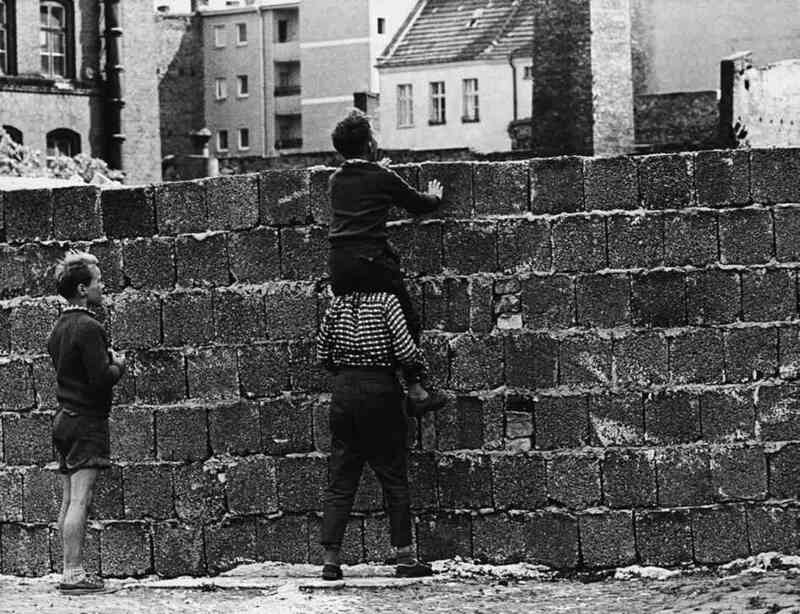 The Berlin Wall was breached because East Germany collapsed under its own weight. In contrast, the United States is preparing for its 250th anniversary as an exceptional nation. When the Berlin Wall came down, thousands were dancing, chiseling the wall, taking pieces of the despised wall as historical souvenirs. 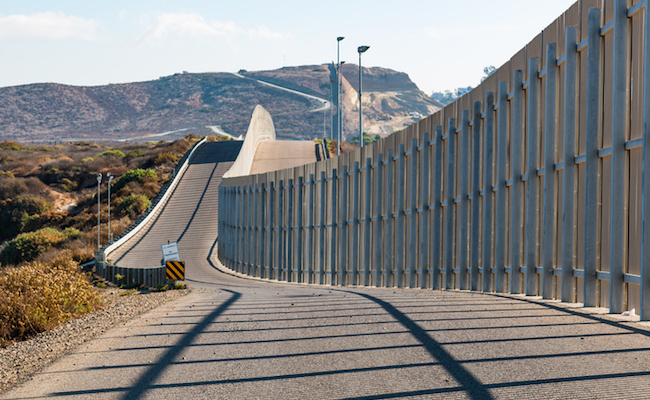 If the U.S.-Mexico is ultimately constructed and properly enforced, Almost DailyBrett suspects that not everyone will celebrate in our divided country. 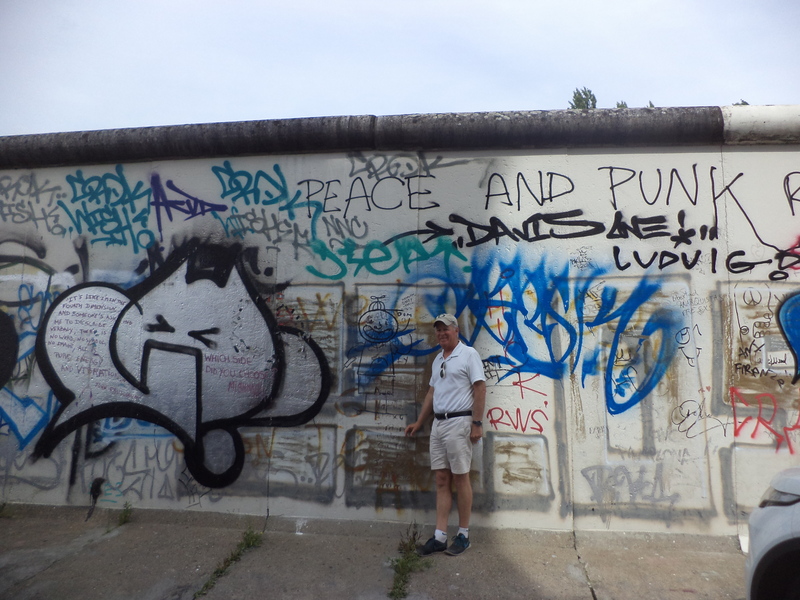 Nonetheless, your author is hopeful that everyone will some day at least comprehend the major differences between the Berlin Wall and the U.S.-Mexico border wall. Always wanted a tree house. Not a literal house in a mighty tree, but an Oregon home with a forest deck surrounded by Douglas firs, wandering deer and playful squirrels. 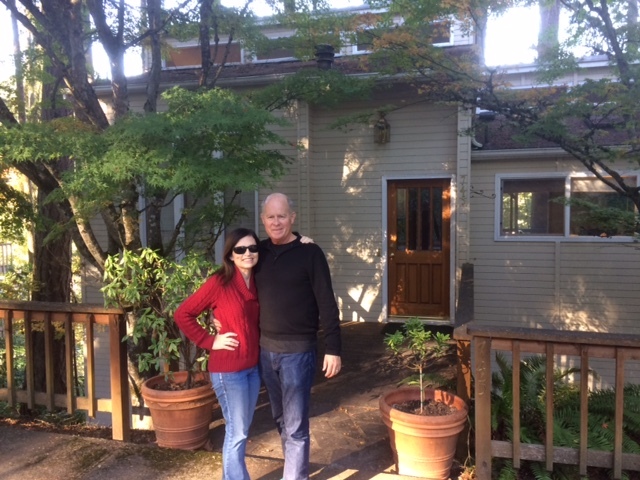 A place to set off for morning runs, savor upscale coffee, little green chariot drives, day-trade, write blogs, soak-off remaining stress of a four-decade career in the hot tub, and smell the roses with my wunderbare Frau, Jeanne. And let’s not forget the 30-yard-line seats 15 rows behind the opponent’s bench. 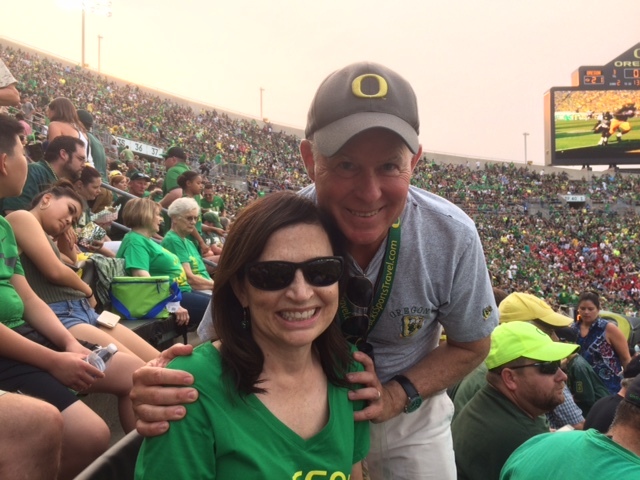 As they say: “It never rains at Autzen Stadium” … until it does. What’s next? Can hardly wait to find out. Sometimes, the author of Almost DailyBrett when trapped in mind-numbing, never-ending, bumper-to-bumper traffic would day-dream about even having the time to read a novel, let along taking a multi-week trip to some place Fantabulous. That dream will soon be coming true. The day-to-day grind will mercifully come to an end, and the joie de vivre is just beginning. It’s time to do what I want to do. A recent documentary about Arnold Schwarzenegger examined his unbelievable success story from his days as a child of a typical Austrian policeman to his spectacular rise as the greatest body-builder of all time, a movie star, Philanthropist and most amazingly, governor of the largest state in the union. When asked about his recent dalliance, he readily admitted his failures. He reminded us that humans cannot fly, so the farthest we can fall … is to the ground. Fortunately, my career has been more ups than downs. Please allow me to humbly declare victory. The author of Almost DailyBrett began his career as a cub reporter covering the 1978 California tax revolt earthquake. Four years later, he was serving as the press director of the Deukmejian Campaign Committee in a Golden State gubernatorial campaign that we twice almost lost, but persevered and won. Never dreamed that a gubernatorial commission with my name and the words, “Press Secretary” would sit beside my desk. And yet there it is in black and white with a beautiful gold seal. As the director of communications for the Semiconductor Industry Association, your author was given a crash course in the wonders and magic of digital technology. He visited capitals around the world (e.g., Tokyo, Washington D.C., London, Brussels, Stockholm … ), while assisting an ultimately successful, all-out effort to open up the Japan market. Could not ever envision being a corporate guy, and yet your author served for 10 years as a director of corporate public relations for a publicly traded semiconductor company. Next up was nearly four years of agency life serving clients’ 16-hours apart from Ireland to Taiwan … sometimes on the same day. The three-decade career spanned politics/government, non-profit, corporate and agency, but still there was something missing: Giving Back. Time to start a second career in academia. Almost DailyBrett always wanted to seek an advanced degree and to teach. Mission accomplished. My most cherished moments are when my thankful former students tell me about their great new jobs and the excitement in their lives. Now it’s my turn to the change the road I’m on. Losing my best man and best friend forever John Newhouse hit your author very hard. He was only 62-years-young, way too young to buy the proverbial ranch. Someday, I will hopefully be able to buy him the first microbrew in heaven … just not now … Please! With Jeanne last August, we discussed life over a dry Riesling on the veranda of the 11th Century Castle Hotel Auf Schönburg on a cliff overlooking the Rhine. We reflected on the fact that a tour of duty is four years in military terms. Why can’t it be the same in academic life terms? We made the decision then-and-there to come home to the tree house in the forest. Today, your author looks out the window of our Oregon house at a fall masterpiece with the leaves on the ground and the rain making its autumnal return. Seven months later, the forest will bloom again and the sun will be warm. And we will be finally at home and at peace in our Eugene tree house. 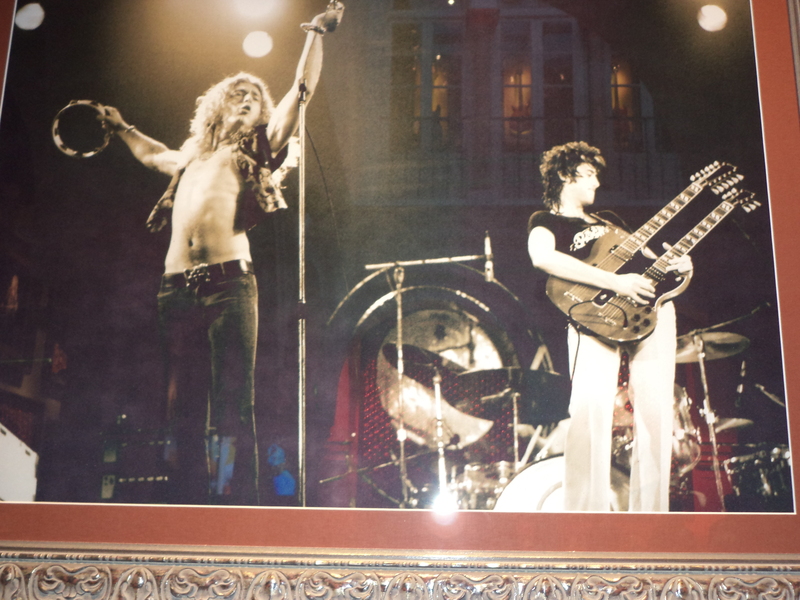 Does a Led Zeppelin concert photograph of singer Robert Plant and guitarist Jimmy Page go with marble Romanesque columns? How about a sketch of Mick Jagger with his signature protruding lips combined with Moorish arches? For that matter, should an operations manager attempt to incorporate Eric Clapton’s Gibson Les Paul electric guitar with Spanish tile? One would think an acoustic guitar would fit better into the classic Castilian style, but no one will ever confuse Andres Segovia with heavy metal. 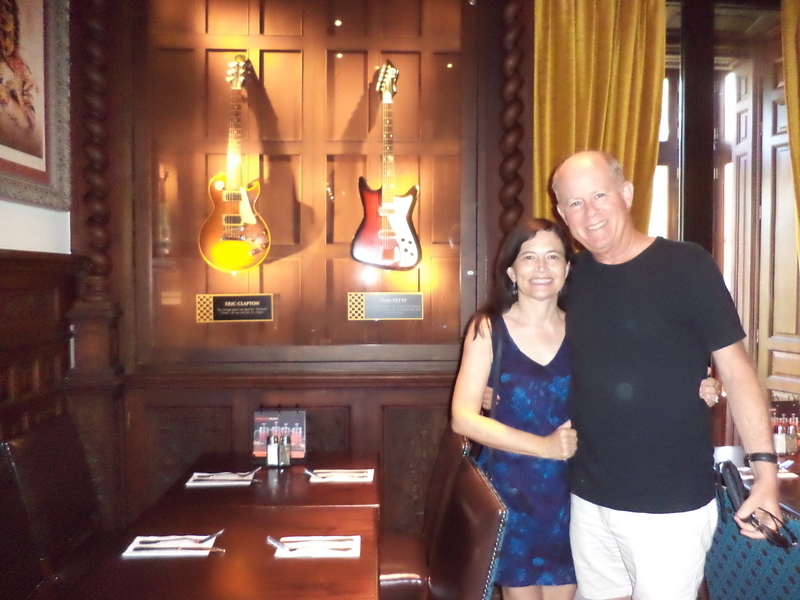 For months including the critical last three weeks before opening night in Sevilla, the team behind the Hard Rock Café worked diligently to fully respect Spanish tradition, while swearing allegiance to the rocking iconic restaurant chain. Carlos Gil, the Venezuelan-born Hard Rock Café operations manager out of Amsterdam, visited patrons on the opening night this past August 4. He said local authorities insisted on the preservation of the Romanesque columns. The chain was more than happy to comply and even to incorporate them into the setting for customers. Hard Rock in the Land of the Flamenco? Sounds like a potential prescription for integrated marketing communications (IMC) disaster, but from all appearances it is working in Sevilla, Spain as evidenced by the turnout on opening night. About the length of one futbol pitch is the distance between Madrid’s famous Prado art museum and the usually well-located, Starbucks. Howard Schultz and his Starbucks team certainly have a knack for finding great locations for the 33,000 stores of the $19.28 billion largest coffee roaster in the world. 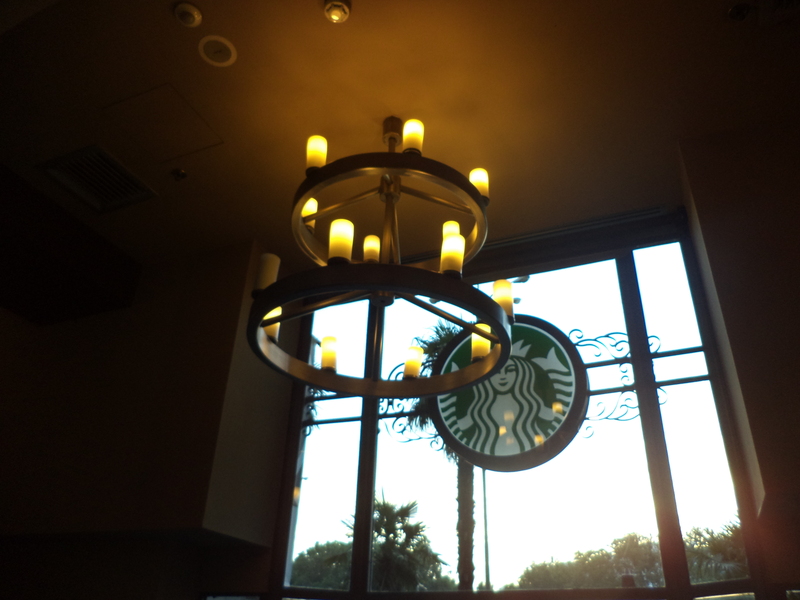 Without doubt, each of Starbucks’ venues is consistent with the company’s brand from the green aprons of the baristas to the coffee posters from all over the world. 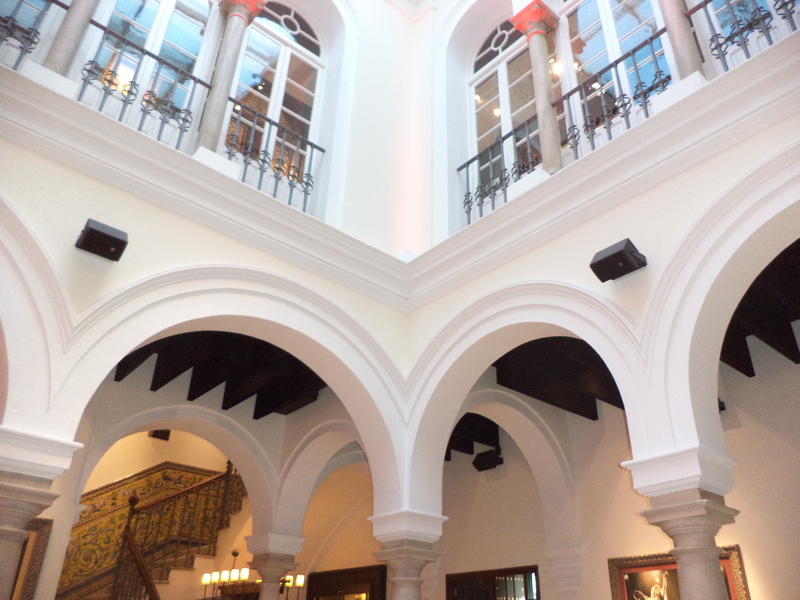 But what is different in Spain’s capital city is that Starbucks also incorporates the Spanish style into its store. As the inevitable pace toward globalization and a flatter world intensifies, so will the demands on multi-national brands to respect the culture while at the same time maintaining the integrity of the brand. Many are opposed to multi-national chains, and will naturally opt for local choices. Others will yearn for the consistency of product. A Starbucks latte tastes the same in Seattle as it does in Madrid as it does in Dublin or München. There is a beauty in predictability in an unsettled world. Starbucks wants to deliver a consistency of product wherever and whenever patrons come-in for a latte, mocha or cappuccino. At the same time, the company’s stores do not have to be indistinguishable cookie-cutter designs with each one mimicking the very first one at Seattle’s Pike Park Market. Seasoned PR and marketing managers instinctively can sense a departure from the “conscience” of the brand, but are they are equally adept when it comes to incorporating a local culture and traditions into the presentation of the brand? What is the smart solution? The answer lies with respecting a local culture, not going “native,” and at the same time be consistent with brand management. Professor Geert Hofstede is famous for his Cultural Dimensions Theory measuring national differences in six arenas: Power Distance, Individualism, Masculinity, Uncertainty Avoidance, Long-Term Orientations and Indulgence. Before dipping their collective toes into another culture’s waters, it is best to weigh the very real differences between what you know and call familiar, and what you don’t know. Wal-Mart succeeded big time in Mexico and failed miserably in Germany. Unilever’s Dove “Real Curves” campaign was a hit in the United States, but went over like a lead balloon (not to be confused with Led Zeppelin) in Taiwan. Under Hofstede’s theory, Spain is high in power distance (57 percent), average in individualism (51 percent); low in masculinity and high in compassion (42 percent), skyrocketing in uncertainty avoidance (86 percent); below average in long-term orientation (48 percent) and low in indulgence (44 percent). There are zero issues when it comes to Brand über Alles. The brand must be respected and maintained. At the same time, there are cultural considerations that need to be considered as well. Can they work together? Hard Rock Café and Starbucks are at least two global companies that have responded in the affirmative. Sometimes we have to resist the temptation to take the easy way out, even though we may invoke the wrath of those closest to us. If you don’t believe Almost DailyBrett, just ask former Led Zeppelin singer-now solo musician Robert Plant. For Plant, the road remains the same … but he is traveling with a new band. Seven years ago, three of the original members of Led Zeppelin (e.g., Plant, Page, John Paul Jones) and Jason Bonham, the son of deceased drummer John Henry Bonham, came together for one special December night at London’s O2 Arena. The memorial concert for Atlantic Records chief Ahmet Ertegün is commemorated in a Grammy-winning Blu-Ray DVD, Celebration Day. Celebration Day supercharged those who yearn for a Led Zeppelin reunion, but it also reopened a chasm namely between Page and Plant. Page wants to reunite the band. Plant wants to continue his wildly successful solo career. The net result: No second iteration of Led Zeppelin. Conceivably, Plant is under a considerable amount of peer, emotional and financial pressure (offers a tons of green) at 66-years-young. Despite these forces, Plant has emerged at peace with himself, and is not looking back. The present-day evidence is a new Plant (Will Almost DailyBrett date itself by using either album or even CD?) collection of songs lullaby … and The Ceaseless Roar. In addition, Plant is touring with his new band, the Sensational Space Shifters. The collection of songs and the new Plant solo tour may not be what Led Zeppelin fans desire or certainly not Page and the “stifling industry” desires, but this is what Plant wants to do. After Led Zeppelin disbanded after selling 300 million records in 1980, immediately following the unfortunate passing of Bonham (40 vodka shots in 24 hours), Plant et al. could have called it a career with flush bank accounts and their legacies secure. Ultimately, that’s not the script that Plant wanted to follow as he plunged into his solo adventure, and not just a resumption of a heavy-metal career with a new band. Plant raised more than a few eyebrows with 1940s crooning throw-back songs with the Honeydrippers. He toured with his own rock band in the 1990s, playing a heady mixture of his own works from Now and Zen and Manic Nirvana, some covers and five or six songs from the Led Zeppelin days including Whole Lotta Love, What Is And What Should Never Be and Ramble On. 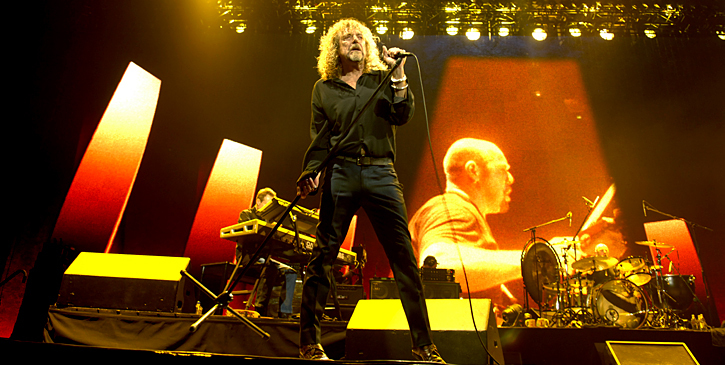 Coming closer to an actual Led Zeppelin reunion was Plant’s collaborative work with Page on No Quarter, featuring the two teaming on a half-dozen Zep songs, most notably the epic Kashmir with a full orchestra and an Egyptian ensemble in 1994. Instead of Zeppelin, Plant eventually turned to Blue Grass and Alison Krauss. The two cleaned up the 2009 Grammy Awards winning five: Album of the Year, Record of the Year, Pop Collaboration with Vocals, Country Collaboration with Vocals, and Contemporary Folk/Americana Album. And now Plant has headed in yet another post-Led Zeppelin direction, this time rocking (and other genres and lullabies) with his Sensational Space Shifters. Page clearly and repeatedly stated that he wants to reunite Led Zep, the very band that generated 20 million ticket requests for the 18,000 seats at the O2 Arena. Potentially, there could be a new album and gazillions to be made. John Paul Jones is resigned a reunion will not occur. Plant knows he is the one that precludes a Led Zeppelin reunion, but that does not diminish his respect for what Led Zeppelin meant for his successful and diversified career. And that is how it will be. 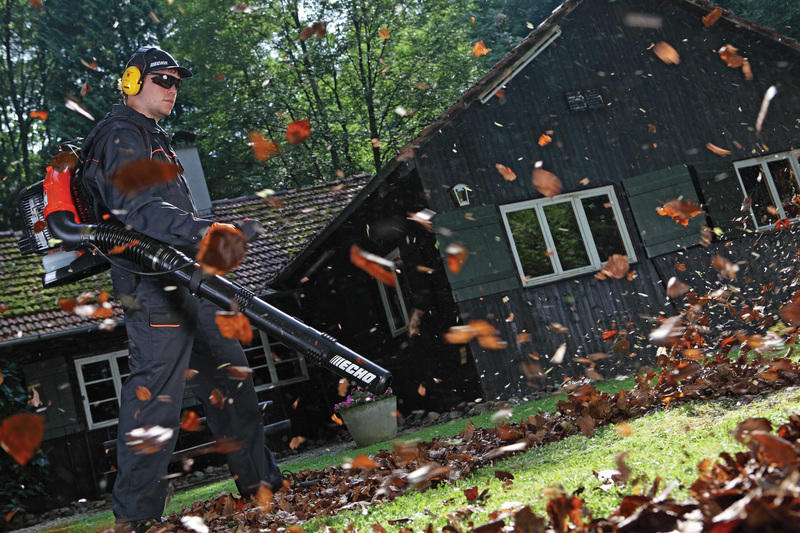 Pressure Washers, Wood Chippers, Leaf Blowers … Oh My! And to that sentiment, let’s add water-wasting, climate-change contributing and noise-polluting gadgets to the discussion. Want to live in an Oregon tree house? Ahh…This is the good life. One is surrounded by stately Douglas fir trees, visited by grazing deer, chirping birds, scurrying squirrels and the occasional barn owl or Americana chicken. Best of all, your neighborhood cares about the environment big time and subscribes to the perils of climate change. If you don’t believe me just check out the front-lawn poetry dispensers or the bumper-stickers on the backs of their non-renewable fuel-burning cars … yep even the Prius’. Life is just swell in the urban forest that is until it is time for your neighbor to pressure-wash the sidewalk, incinerate tree limbs and branches, blow away the leaves etc. Did we discuss chainsaws? Lots and lots of chainsaws. And each of these (any combo of) water gulping, fossil-fuel burning, carbon-monoxide, nitrous oxide-hydrocarbon emitting, climate-change contributing gadgets could easily compete with Led Zeppelin for volume. The only difference is one can choose when to check out Robert Plant and Jimmy Page; you have no choice when it comes to 7 am Sunday morning pressure washings by your thoughtful neighbors. Our sidewalks have never looked so good. Before moving north to Eugene, Oregon to pursue an advanced degree, the author of Almost DailyBrett lived in a tacky-tracky, known as “Bird Land” (e.g., Sandpiper Way), in Pleasanton, California. P-Town is located just over the hill from the Silicon Valley. Some days the community is influenced by the fog from San Francisco and other days the heat from the San Joaquin Valley. This particular “burb” is flat, which is perfect for bike riding, playing soccer at Pleasanton Middle School or PMS or driving the mini-van (not me) to the next garage sale. My Monopoly ranch-style residence was surrounded on three sides by five other nearly identical ranch-style houses. Even though our ecosystem was suburban with an occasional raccoon or migrating ducks, it was pleasantly tranquil. In some respects, boringly quiet. Moving to Eugene after 15 years of making horrific to-and-from commutes to the Silicon Valley, SF Peninsula or The City itself, I was welcoming a change in lifestyle. Would it be bucolic to reside in South Eugene with only the sounds of chirping birds in harmony with nature? … You may get it. Second-growth forests are gorgeous. The trees absolutely dig Oregon’s intermittent sunshine (e.g., sun breaks) and about 36-inches of precipitation each year. For the most part, it is neither too cold nor too warm with the annual temps ranging between the 40s and 70s. Oregonians may grouse about growing traffic, rising real estate prices and polluted campgrounds, but the vitriol about “Californicators” has largely subsided. These progressives are now rightly concerned about global warming and they have the pictures of sad polar bears to prove it. Words are one thing. Actions are another. 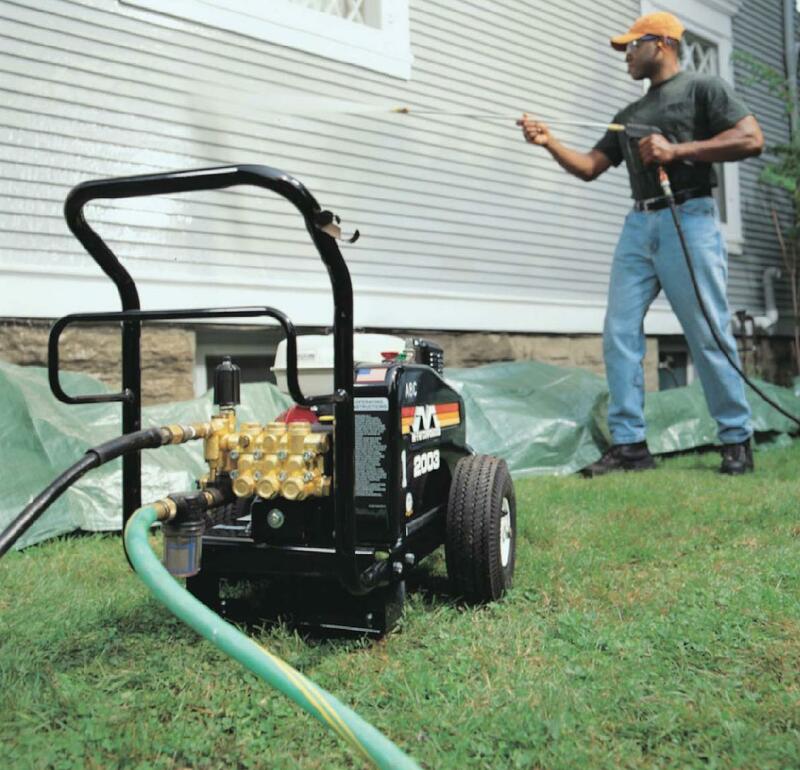 Has anyone ever checked out the specs on a pressure washer, the very same noise polluter that is being used to clean-up a Eugene sidewalk (e.g., first-world crisis)? Let’s see these monsters can put out with incredible force anywhere from 2 gallons to 4.9 gallons of precious water per minute. Wasn’t there some discussion earlier this year about a drought in much of the Western U.S.? And didn’t the leader of the free world and others point to climate change as the culprit? Yet these eco-warriors are spraying down their sidewalks, wasting water, and using (gasp) gasoline-powered pressure washers. And where is the exhaust including hydrocarbons from these machines going? Hmmm … into the atmosphere. Now one can argue that wood chippers, leaf blowers, weed whackers are electric-powered and therefore may be sensitive to one’s ear drums, but maybe not to the planet. The same argument cannot be made with gasoline powered pressure washers and chainsaws. Yes, some work with trees does require a chain saw and/or a wood chipper, particularly after a major storm. Trees are beautiful, but they are temperamental to a certain extent always reminding us of their presence and urge to reproduce. 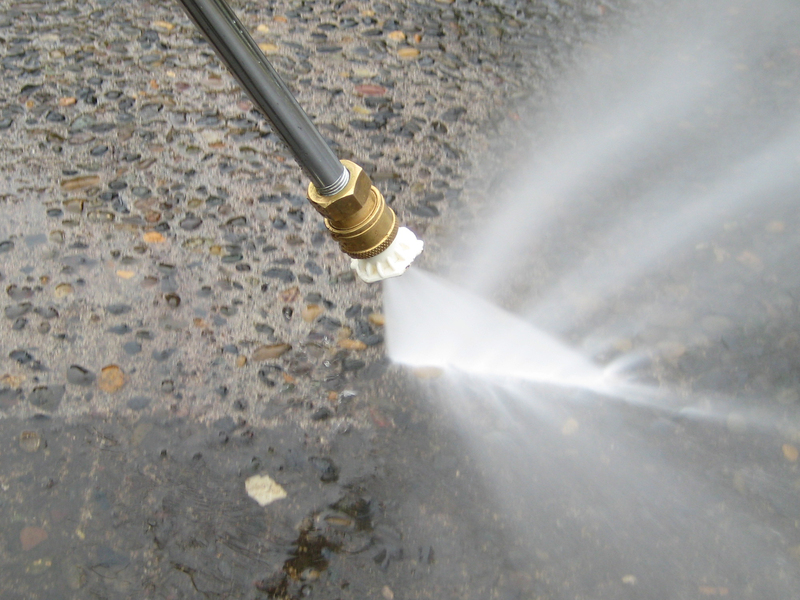 Having said that, trees and sidewalks do not require a pressure washer, a leaf-blower or a weed whacker. 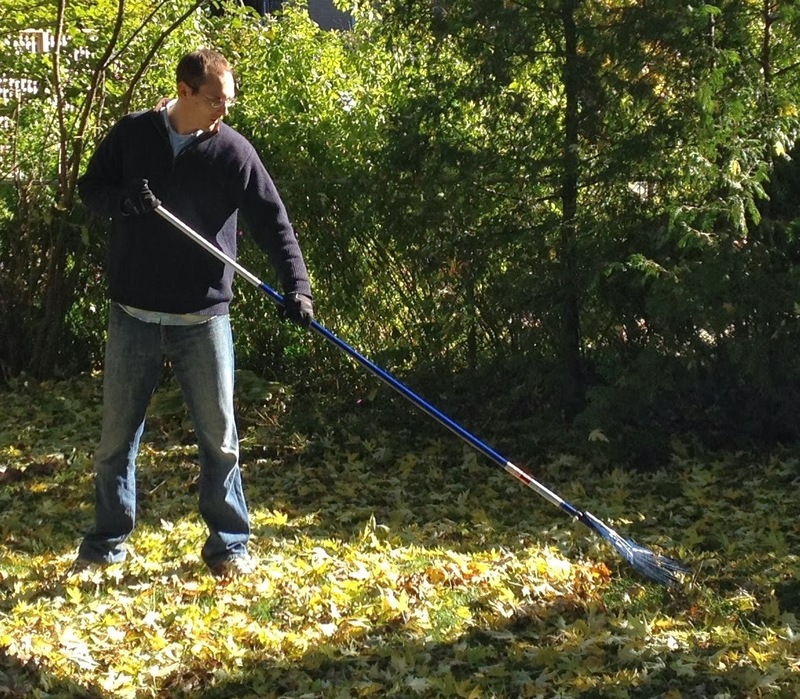 Has anyone ever heard of the “humble rake,” the “venerable broom” or a dust pan? These low-tech gadgets provide instantaneous aerobic exercise. They do not contribute to climate change. They are virtually silent, therefore not disturbing the deer, owls or neighbors. And yet those who profess deep concern for the plight of Mother Earth are out there with their pressure washers or revving up their chain saws. There is a four-syllable word that begins with…ah…”hip” that immediately comes to mind. California communities in Los Angeles, Monterey, Marin and Sonoma Counties have taken steps to ban at least leaf blowers or severely restrict their use. Seattle is considering the same. Would the City of Eugene or Lane County do the same in order to protect the environment and head off climate change? Something tells Almost DailyBrett this ordinance would draw opposition from those who may not be as “green” as they think. “Self-indulgent … Weak, unimaginative songs…” – Rolling Stone magazine review of Led Zeppelin I. “(The first album) just went over their heads. Absolutely. Absolutely, so. It was way beyond them…” – Led Zeppelin guitarist Jimmy Page reflecting on the initial reviews. There are no statues or monuments to critics. Ancient and modern-day versions of the Pharisees have always been and will always be with us. Will Tim Tebow make it in the NFL? If he doesn’t, is it because of his home schooling? His belief in a higher being? His long-time commitment to clean living? You would think that he never won the Heisman Trophy. Give him credit for one thing: He is a man in the arena. In our digital society, our ability and our incessant need to calibrate, to crunch data to smithereens has never been greater. Didn’t Intel get into major PR trouble in 1994 because the Pentium chip (floating point unit FPU) didn’t compute correctly four or more digits AFTER the decimal point? When a big league hitter comes to the plate, we all know his batting average, average with RISP (runners in scoring position), home runs, RBIs…all the data that makes Billy Beane, as played by Brad Pitt, salivate. In nanoseconds, we measure the direction of stocks, market capitalization of companies, price-to-earnings ratios and the “churn” as institutional investors or hedge funds move in-and-out of a security. In God we trust; All others bring data. – Professor/Author William Edward Deming. And yet, despite our unquenchable thirst for data, figures and factoids, our lives still remain largely subjective. And there are “Russian judges” that from time-to-time are thumbs down on even our best efforts. Most sports have a scoreboard. You either win or lose, pure and simple. That is not the case for figure skating, particularly during the troubled days of the Cold War. An American skater would receive the following marks for her performance in the short or long program: 5.8, 5.9, 5.8, 5.7, 5.9, 5.8, 4.5…Wonder who gave her the 4.5? The Russian judge. The point is the critics are still here. The world has never been more technologically advanced with 90 percent of the scientists, who ever lived, walking around the planet right now. Despite all of this innovation and advancement, we are still for the large part evaluated subjectively by our peers. We live, and maybe always will reside in a subjective society. 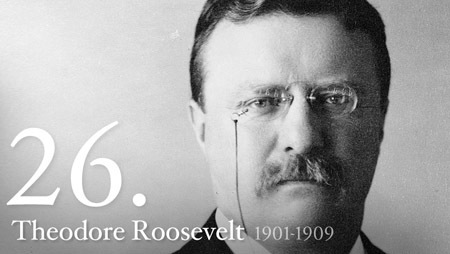 This undeniable fact requires us to remember the most important public relations of all are personal public relations. How do you enhance your personal brand? How do you protect your reputation? Did you “Google” yourself today? Do you like what you see? Or do you need to change course? Even though job applications with digital cover letters, curriculum vitae, portfolios and URLs are all submitted, and in most cases search engine instantly evaluated for desired “tag” words, the decision whether to hire or not is made by flesh-and-bones people. And of course, people can be political. Interviewers are only concerned about whether you will add value to the bottom line. They want to know how you will fit into an organization. They want to know how you will contribute. They want to know whether you have the gravitas to interact effectively with management, customers and other stakeholders. They want to know whether you will be a team player. How about romance? We might be able to devise a pithy profile with nice JPEG mug shots for Match.com or eHarmony or some other dating site, but whether you succeed or fail in the game of love comes down to the subjective opinion of another person. Are you immediately placed on the friendship track or the romance track? That is the mother of all analog decisions. At some point, there will be a decision whether intimate human contact is in the cards. The ones-and-zeroes play absolutely no role. Even blog writers are subjected to…ah…subjectivity. Do these words work for you or not? Do you enjoy that picture on the wall? What about the architecture of this building? Or that outdoor landscaping? And how about Led Zeppelin I? Is it “self-indulgent”? Or does it go right over the heads of the critics? Sometimes, we are talking about questions of taste. Sometimes a critic’s upbringing comes into play or pre-set political philosophies. And maybe despite your best efforts and effective personal public relations, the critic simply doesn’t care for you. It all comes down to eternal subjectivity in a digital world. Those damn Russian judges. They will always be there to torment us. Even though I was serving as the chief spokesperson for the Governor of California, George Deukmejian, I was still nervous and a little excited about meeting Richard M. Ferry, one of the co-founders of the largest headhunting firm in the world, Korn/Ferry International. As we met in 1989 in his Century City office, he asked me how long I had worked for the Duke up to that point. I replied: Eight years. He inquired whether I was proud of my tenure with the governor. His question struck me as curious. I replied in the affirmative. Guess the golden days of starting in the mail room and ending up in the corner suite 40 years later are gone, long gone. And I was counting on receiving my gold watch, and fading into the sunset. Later in my career, I established the Corporate Public Relations Department for LSI Logic Corporation. Our founder, chairman and chief executive officer Wilf Corrigan was a serial wanderer. His management by walking around style included a daily stop to my Silicon Valley cube to talk about the news and what was happening with his company and his semiconductor industry. Each day I prepared for his arrival, keeping notes about developments that warranted CEO attention. Originally, I thought that yours truly was not cut out for a corporate environment. I was wrong. I loved my days with LSI Logic, and especially working with Wilf…even though I did not report to him…I still worked for him. After my 10 years on the job, Wilf (in concert with the Board of Directors) made the decision to retire from the job at 67-years young. A new Intel(ligent) CEO came in the door. He brought a slew of Intel(ligent) folks with him. I knew the writing was on the wall. 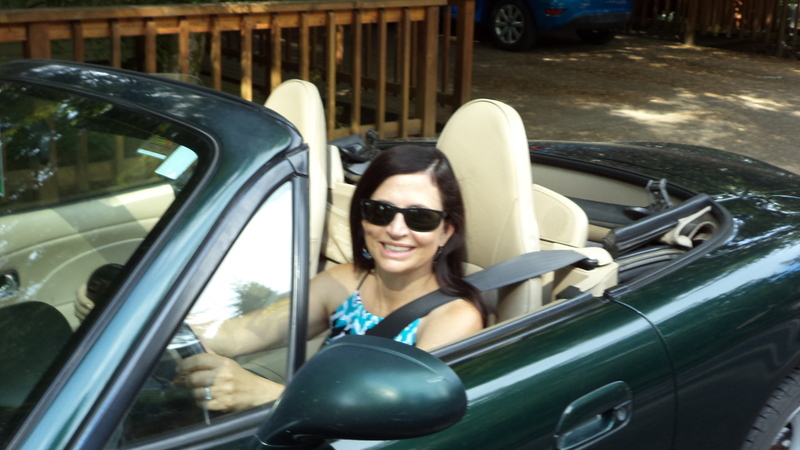 Shortly thereafter, I negotiated a get-out-of-town package and was out the door. The company stock was $8 and change when Wilf stepped down as chief executive. The Intel(ligent) team promised so much upon their storied arrival eight years ago. Today the stock opened at a robust $7.22 in the midst of a long-term bull market. And each time I received the response that the Intel(ligent) ones respected an LSIer for his or her 12 years with the company, 14 years with the company, 15 years with the company…Each of these LSIers was eventually laid off. I couldn’t help but ponder the words of Richard Ferry about “stagnation.” You have to sense when a job or a situation has dramatically changed and has reached the point of no return. You can’t pretend that it hasn’t, when the circumstances have clearly shifted. What’s that about not being able to go home again? It is human nature to not embrace change. We know our routines. We are happy when we are in our comfort zones. Alles ist in Ordnung until the shift occurs. When George Deukmejian decided to not run for a third term (even though he could legally take that step at the time), my life changed and thus my meeting with Richard Ferry. When Wilf Corrigan stepped down at LSI Logic, I knew instinctively a chapter in my life was closing and I made a change. 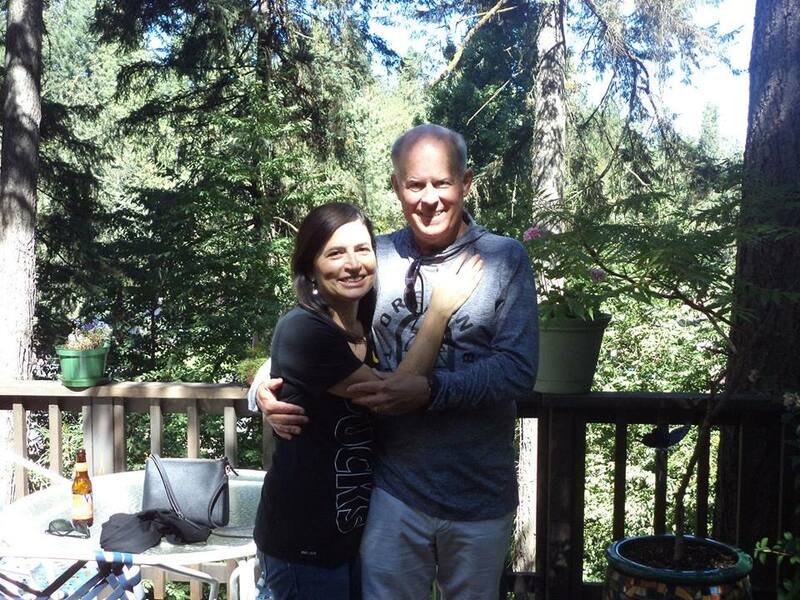 When my wife, Robin, of 22 years died of cancer, my life changed whether I liked it or not. And when I faced cancer and Valley Fever myself, I saw my own mortality pass before my own eyes twice. I knew that change is unavoidable and it must be managed. And when change is in the offing, you can lament about it, feel sorry for yourself, or you can accept the shift and do something about it. At the risk of publicly patting myself on the back, I choose to manage as opposed to having other Intel(ligent) people manage me. As Robert and Jimmy said in Stairway to Heaven there still is time to change the road you’re on. For me, I sense another change. The Office of the Governor was a nice run. LSI Logic was a blast. Edelman was a great learning experience, The University of Oregon provided me with a new diploma, a foreign language certificate, a research award and substantial upper division public relations teaching experience. So what will I do next? What chapters of my life will follow? Or will I be writing chapters of my own book? I can hardly wait to find out. Last night at the Hult Center in Eugene, Oregon should have been a night of celebration of a musical giant. Instead the audience quietly walked away when it became evident that after a little more than an hour the cumulative impact of 87-years young and his 20-year fight with Type II diabetes had prompted B.B. to call it quits for the evening. Promptly at 7:30 pm PDT, the eight-piece B.B. King band started its performance of down-home Southern blues. Everyone knew the time was coming closer for the arrival of B.B. He walked out onto to the stage to a standing ovation. 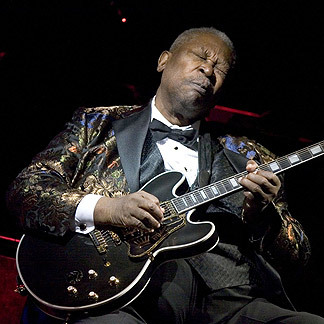 “Lucille,” his Gibson ES-355, was carefully placed beside his chair. One problem: Lucille’s amplifier was kaputt. Kein Problem. B.B. sat down, smiled and introduced the members of his band, including his drummer twice. A second amplifier was brought on stage…and it didn’t work either. Did anyone bother with a sound check? B.B. seemed to take it in stride as Amp #3 was carried on stage with his band guitarist taking the lead. Finally…after 15 minutes…we heard the first distinctive B.B. King chords. Except B.B. really wasn’t pleased with Amp#3, prompting the arrival of Amp#4. 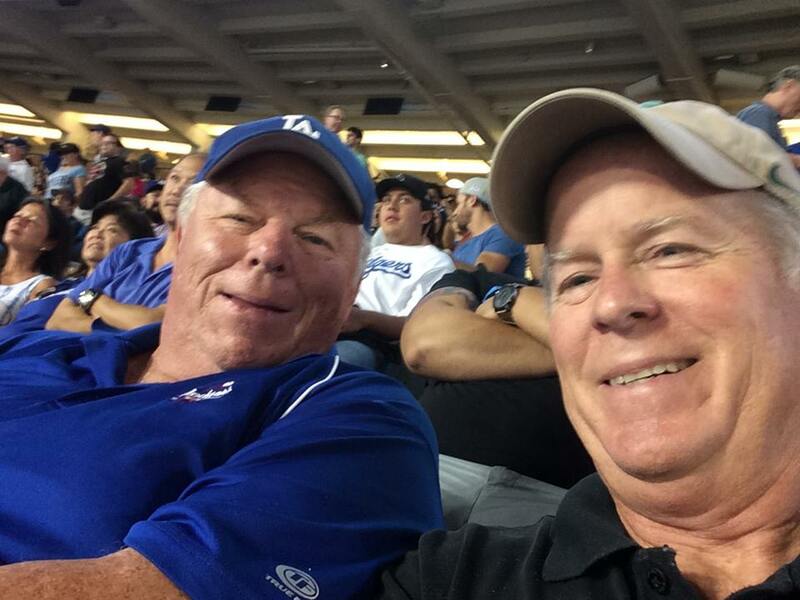 The high-points of the night came in succession with B.B. leading the audience in singing You Are My Sunshine (encouraging the kissing of your loved one) and then his signature The Thrill is Gone…a truncated version. Soon after, B.B. King announced he was over his allotted time. Being able to say and remember seeing “The King of the Blues” made the night worth the high price of admission. Still it was not the same as the memories of Keith Richards, Jimmy Page, Pete Townshend, Billy Gibbons and The Edge, all in their prime, playing before packed houses. Age inevitably wins. No matter how hard we try (and we should), age will prevail. Watching Muhammad Ali in his last fight against Larry Holmes (it wasn’t pretty) or the Terry Bradshaw-era Pittsburgh Steelers grow old and lose a step or two all at the same time, sends a sad but certain signal that it is time to move on to the next era of life…whatever that may be. Reportedly, B.B. King works up to 225 nights per year. He is a “doer” and a “maker” and needs to be saluted and praised. For his fans (and count me in that grouping) his YouTube videos and digital recordings are better than hearing him live. There was exhilaration from hearing the chords coming from “Lucille” for just a few minutes and then the thrill was gone. There comes a time…I’m sorry to say, for the legend B.B. King that time has come. When is not enough, not enough? When is too much, too much? And is just right, just right? Finally, when is it time to get off the stage? As I contemplate the to-the-point immediate communication demands of our 2012 attention-driven society (particularly via social media), I keep on pondering the lessons of four legendary English rock n’ roll bands of the 1970s. After standing in the rain for nearly eight hours outside some sterile Southern California department store in 1975 (amazed the call of nature didn’t intercede…ah to be young again), I finally reached the front of the line and bought two precious tickets to see Led Zeppelin. 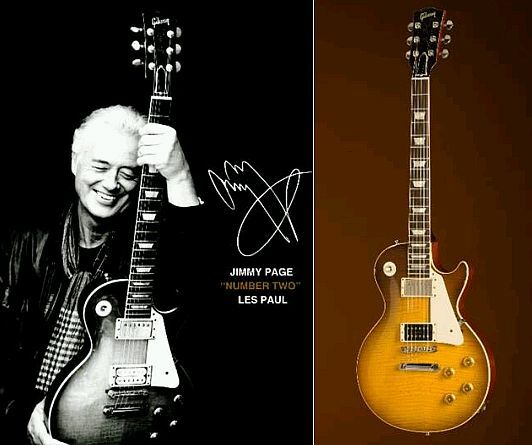 In my mind’s eye, I could envision Jimmy Page laying on the first riffs of “Rock n’ Roll” with his Gibson Les Paul, Robert Plant hitting the high notes, workmanlike John Paul Jones on the bass/organ and John Henry Bonham pounding away on the drums. A friend, who saw the show a few nights earlier, implored me to sell the tickets. 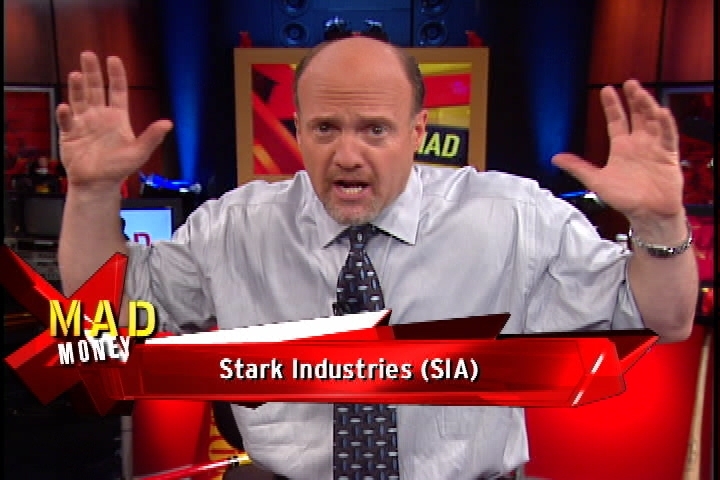 I should have listened to him. Don’t get me wrong, I am a huge Led Zeppelin fan owning the band’s entire catalogue on both vinyl and CD. Listening to the band’s recordings is one thing; sitting through four hours of guitar, organ and drum solos comprising only 15 songs (do the math) was exhausting. When it was over, no one was demanding an encore. 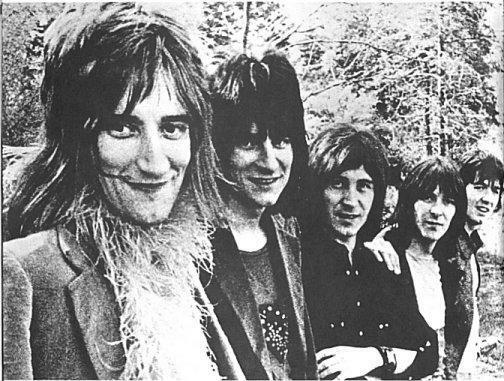 During that same year, I saw the last tour of Rod Stewart and the Faces (Stewart, Ronnie Wood, Ronnie Lane, Ian McLagen and Kenney Jones). All-in-all, I have checked out four Rod Stewart shows, including the aforementioned Faces concert. Each one was over in approximately 90 minutes. And each time the audience wanted more but there was no more. The crowd felt jipped and there was a smattering of boos. We were not even close to being exhausted and we were far from satisfied. The Who was a different story. I saw the band for the first time at Anaheim Stadium in 1976 with the original lineup of Pete Townshend, Roger Daltrey, John Entwistle (The Ox) and Keith Moon. The second time was in Los Angeles with the Faces’ Kenney Jones replacing the deceased Moon on the drums. The band played for more than two hours and ended its regular set with “See Me, Feel Me, Touch Me, Heal Me” and “Won’t Get Fooled Again.” Alas, the encore was an anti-climatic throw-away. Early this month, the Rolling Stones announced the availability of a bootleg recording of its July 13, 1975 concert at The Forum in Los Angeles. I was 20-years old at the time and vividly remember Aaron Copland’s “Fanfare for the Common Man,” dramatically introducing the band at that very same concert to thunderous applause. And then there was Mick Jagger and Keith Richards singing the chorus to “Honky Tonk Woman” with Charlie Watts on drums, Bill Wyman on bass and Woods just joining the Stones from the Faces. 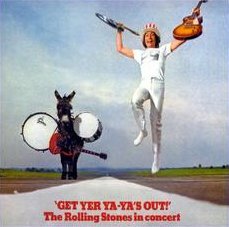 Since the 1969 “Get Yer Ya-Ya’s Out” tour, the Stones have always been masters of choreography and pacing, starting their concerts at a kinetic pace (i.e., Honky Tonk, All Down the Line, You Can’t Rock Me) and then slowing down (e.g., You Can’t Always Get What You Want). The 1975 concert concluded with a series of Stones classic rockers including: Brown Sugar, Midnight Rambler, Street Fighting Man, Jumpin Jack Flash and the encore, Sympathy for the Devil. The show was 22 songs and ran about two hours or so with the audience coming away satisfied (Who says you can’t get no satisfaction? ), but wanting more. The Stones knew when it was time to get off the stage. Led Zep played a four-hour concert; The Stones gave us a show. All together, I have seen the Stones six times live, and if they tour as rumored next year to celebrate their 50th anniversary as a band, my attendance will be a pilgrimage as it will for literally thousands and thousands of people. The purpose of this epistle is not to simply recount how fortunate I have been to see some of the greatest rock n’ rollers of all time, but to deduce the lessons of these bands and project them to our 21st Century world of communication. A NFL game takes an average of 3.5 hours obviously accompanied by video and audio. 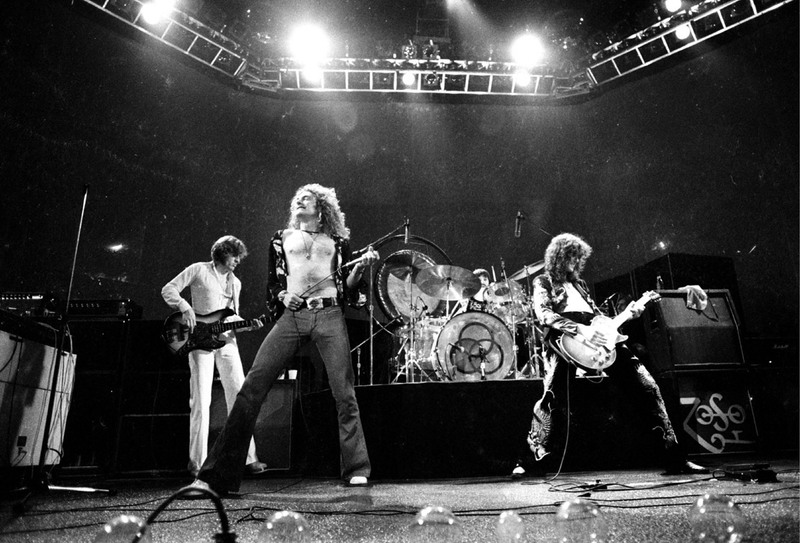 The Led Zep show ran four hours with amplified sound, lasers and lighting. My entrepreneur acquaintance wants to market a 4.5-hour audio tape, broken into nine chapters, but still 4.5 hours. I urged a series of two-to-three minute YouTube videos as an alternative. No go…so I had to go. My failure to convince someone (not the first) about the merits of quick messaging social media reminds me of The Diffusion of Innovations Theory by professor Everett Rogers. The theory is represented by a curve with innovators on the extreme left and laggards on the extreme right of the page (not implying any political connection). I am afraid that 4.5 hour audio tapes are heading in the laggard direction akin to the buggy whip. We live in a world of 140-character Tweets/20-second sound bites/quick Facebook posts. We can either embrace this new world or coming into it kicking and screaming. We are not going back to Johannes Gutenberg and his 15th Century printing press or the modern-day equivalent in the form 4.5-hour audio tapes. 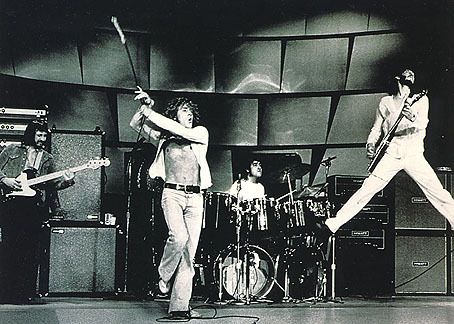 The Stones and The Who proved four decades ago that less is more in rock ‘n roll. This same wisdom applies to 2012 communications choreography as well.